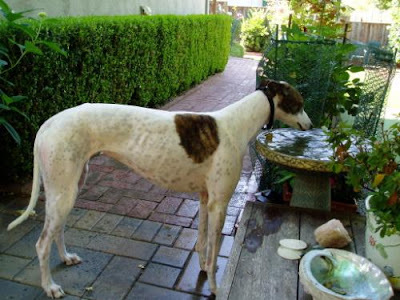 Teapots and Polka Dots: Greyhounds to the Rescue! 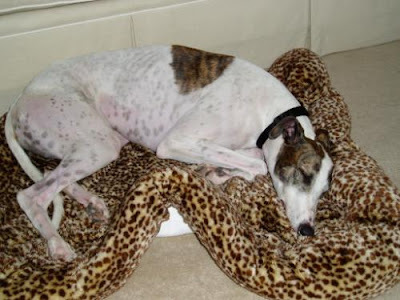 Recently my sister and brother-in-law lost their beloved rescued Greyhound, Allie. She was a black-and-white valentine, a sweetheart of a dog. 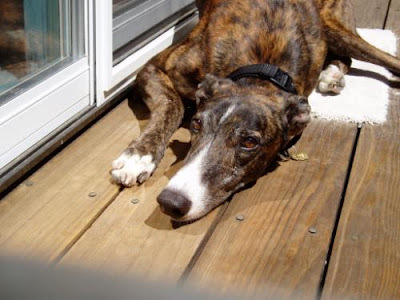 Her death left a big hole in the lives of my sis and b-i-l.
Like many other Greyhounds, Allie was bred by the dog-racing industry to make money. 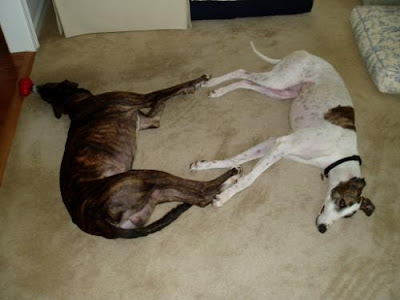 These dogs often have pitifully short lives; they might race three or four years, maximum. Then, when the industry thinks they are too slow, or too old, or simply not crowd-pleasers any more, they are put down. Just like that. The lucky ones, like Allie, are scooped up by wonderful people dedicated to saving this lovely breed. 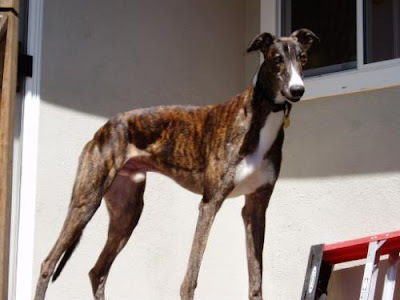 Because they've only known life at the race tracks, ex-racing Greyhounds have to be taught a lot. They must learn how to walk on a leash through a neighborhood, how to react to a doorbell, how to negotiate a thorny rose bush. They've never seen a vacuum, a mirror, or a squeaky toy. They take a lot of rehabilitation to become house pets. But when they are ready, they are the most wonderful--and quite possibly the most grateful--dogs on the planet. Happy New Home, Bogart and Roxie! I do believe that you have rescued us!